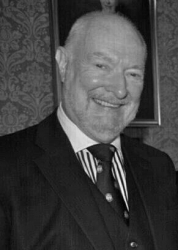 Michael Singleton qualified as a Solicitor in 1980 having previously qualified as a Fellow of the Institute of Legal Executives in 1972. 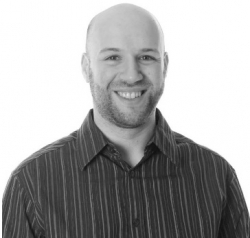 Michael has practised in North London and Enfield for over 35 years. A partner in the predecessor firms of Charles Caplin & Co and Wurzal, Singleton & Charkham he established the firm Singletons with his wife Ann in May 1987. Throughout his career he has practised in various areas of law specialising in probate, trusts, wills, commercial and domestic property and business sales and purchases. Elected as Council Member of the Law Society representing North Middlesex in 2002 Michael has served on its Audit Committee and Scrutiny and Performance Review Committee and is chair of the Council Members Conduct Committee. He is currently serving on the management board. Michael is a football enthusiast he is a season ticket holder at Queens Park Rangers. Michael enjoys sailing and holds an RYA Yachtmasters Offshore Certificate. He is a Liveryman of the Worshipful Company of Fletchers and is also a Freemason. 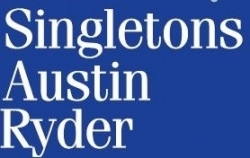 Ann Singleton qualified in 1981 and joined Singletons Austin Ryder’s predecessors Wurzal, Singleton & Charkham in January 1986 having previously practised in Southgate and the City of London. Ann specialises in commercial property and general litigation. She is a football enthusiast and a season ticket holder at Queens Park Rangers. After obtaining a distinction at the College of Law Robert joined the firm in 2007 as a trainee Solicitor and qualified in 2009. He became a Partner in 2011. He is involved with working with our elderly clients and those who are unable to manage their own affairs, all aspects of residential and commercial property work and wills and probate. Except for his time at university in Nottingham, Robert has always lived and worked in Enfield and has a strong local knowledge. Robert is a supporter of Arsenal FC, a keen Batman enthusiast, a Liveryman of the Worshipful Company of Fletchers and enjoys spending time with his wife and two sons. In 2016 The Times newspaper included Robert in a list of the top 175 solicitors. 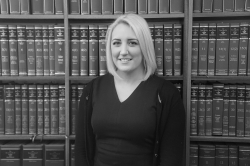 Samantha qualified as a solicitor in 2016 having joined the firm in 2014 as a trainee. Prior to this she obtained a First Class Honours degree in law before completing the Legal Practice Course. While studying, Samantha worked within residential care homes and is particularly interest in providing legal services for the elderly. Outside of work she undertakes dance classes in both ballet and jazz and has achieved her First Dan Black Belt in Shotokan Karate. 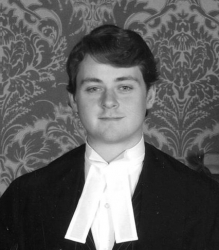 Lewis Clement was called to the Bar at Lincoln’s Inn in 2013 before qualifying as a solicitor with us. Lewis’ caseload mainly consists of general litigation and dispute resolution. Lewis has appeared as an advocate in the county courts, with a particular focus on landlord and tenant, and property disputes. As well as accepting instructions on most forms of litigation, Lewis also maintains a caseload in conveyancing and commercial contractual matters. When he is not in work, Lewis enjoys listening to contemporary jazz music (himself being a Bachelor of Music); playing squash and cricket for local teams; and riding his vintage Raleigh bicycle. Michael is a Senior Legal Executive specialising in Family Law, including divorce and ancillary relief issues, cohabitation, civil partnership and children's issues. He joined the legal profession in 1975 and was admitted as a Fellow of the Institute of Legal Executives in 1985 and is a Member of the Solicitors Family Law Panel. Michael joined Austin Ryder & Co in 1992 and prior to this practised Family law at various North London firms. Michael is a football enthusiast and has for many years been an officer of Hinton FC who are based in Enfield and play in the Herts Senior County league. Stephanie James joined the firm in 2006 as our receptionist before becoming an assistant to one of the Partners. During her 7 years as an assistant Stephanie gained an extensive range of experience in residential property and in 2017 started her legal qualification to become a Licenced Conveyancer. Stephanie has a wide ranging knowledge of residential property but specialises in residential conveyancing including sales, purchases and re-mortgages. Outside of work Stephanie likes to spend her time socialising with her friends and family. She also enjoys running, keeping fit and volunteering at the London Marathon and Prudental Ride London each year.